Click on the Play Button and 'Blood Sweat and Leather' will start after this message... Thanks for waiting! 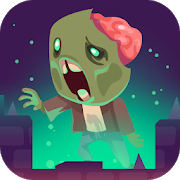 Your house is full of zombies get rid of them with your fists! Fortunately, you were taking boxing lessons before this happened. New missions available! This incredible first-person online shooter is really similar to Counter Strike. Gather your friends and create a good party to fight against other users. Prove you're the best with weapons. Unity 3D plugin required. You'll control a brave ninja whose mission is to travel to Tokashi village and free its inhabitants from the Koga clan! Get ready for action and prove you're the best fighter. Save your people from this evil family!